Does Tampa Bay roll the dice on Williams of Alabama football? After releasing the first mock draft on potential Alabama football standouts as first-round selections, TDA has returned with a second installment for the upcoming NFL Draft. While the most players taken in the first round for the Crimson Tide is four, Nick Saban can break the trend this time around with five. Depending on how Irv Smith Jr. performs at the Scouting Combine, the talented tight end could provide the program with six first rounders. Listed below is mock draft 2.0 for Tide standouts. As he enters his fifth season at quarterback, Tampa Bay hopes to get some consistent production from Jameis Winston. Defensively, however, is the area where the Buccaneers need the most help. Regardless of having players such as Gerald McCoy, Vita Vea, Jason Pierre-Paul and Kwon Alexander, the franchise carried one of the league’s worst defenses. Tampa Bay finished 27th in total defense in 2018 (383.4 ypg allowed) and 24th in rush defense (123.9 ypg allowed) while surrendering 29 points per game. 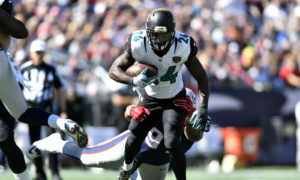 Opponents rushed for 19 touchdowns versus the Buccaneers, which was tied for third-most in the league. 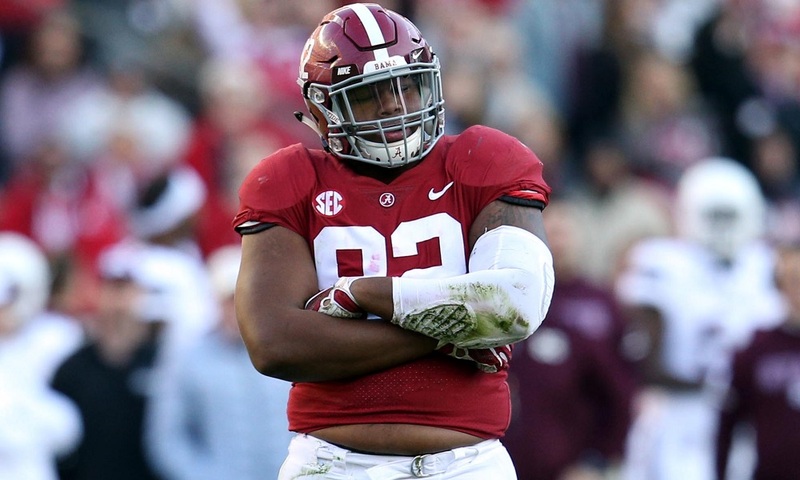 Quinnen Williams, at 6-foot-4 and 295 pounds, brings a combination of run stuffing and pass rushing abilities to the Bucs that is needed when it faces Matt Ryan, Drew Brees and Cam Newton twice a year in the NFC South. Williams led Alabama in tackles for loss (19.5) and sacks (eight) a season ago. He shared a team-high 12 quarterback pressures and with at either defensive tackle or defensive end, it gives the team another presence for opposition to focus on. Houston secured an AFC South championship (11-5) and Deshaun Watson proved to be one of the league’s top young quarterbacks from the 2017 NFL Draft; however, the Texans offensive line was horrendous last season. Watson posted 4,165 passing yards and had 26 touchdown passes to nine interceptions, but he was also the most sacked signal-caller (62) of 2018. If not Minnesota, Houston would serve as the next best spot for Williams in the National Football League. 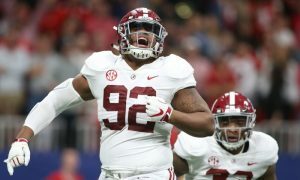 He anchored an Alabama offensive line at left tackle that allowed the fewest sacks per game in the Southeastern Conference and eighth fewest nationally at 0.93 per game. 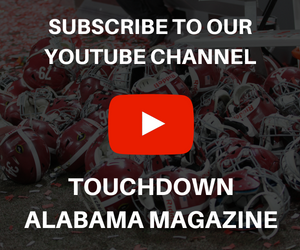 Behind Williams, the Tide boasted a two-time 1,000-yard running back in Damien Harris and Tua Tagovailoa became the fourth quarterback under Saban to record 3,000 yards passing. He was one of two unanimous All-Americans at Alabama last season and having Williams at either tackle or guard – preferably tackle – will make life easier on Watson and Lamar Miller. Before an altercation with a woman in a hotel room cost him his position with the Kansas City Chiefs, Kareem Hunt was one of the shining stars of the NFL. 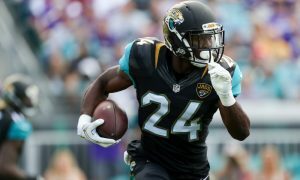 A product from University of Toledo, Hunt was the league’s rushing champion in 2017 – totaling 1,327 yards rushing with eight touchdowns on 272 carries. He was an explosive back that brought diversity to Kansas City’s offense, which allowed for Andy Reid to be creative in his play calling. Damien Williams, 26, has been a pleasant surprise for the franchise, but pairing Patrick Mahomes II back with a player of Hunt’s caliber would be huge for the Chiefs. He may not fall to KC at No. 29 overall; nevertheless, Josh Jacobs fits the organization if he remains on the board for it. The 5-foot-10, 218-pounder from Oklahoma is the ideal sized back that the Chiefs pursue. He finished his career with 1,491 rushing yards for the Tide – including 640 yards with a team-high 11 touchdowns coming in 2018. Jacobs tallied 571 yards receiving on 48 catches with five scores, and was explosive returning kickoffs. 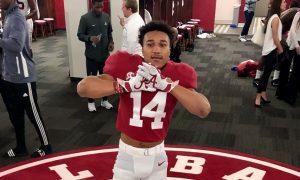 Regardless of his three-star rating in high school, Jacobs was Alabama’s most complete player on offense as a runner, receiver, blocker and special teams. Reid is the type of coach who loves hard-nosed, blue-collar guys that push for chances. He would really like Jacobs. Sometimes stats can be deceiving. Pittsburgh finished with the tenth best pass defense in the NFL in 2018, but it failed to create turnovers. Under Mike Tomlin, the Steelers forced the third-fewest interceptions (eight) and allowed 27 touchdown passes. Despite having a very potent offense, Pittsburgh’s lack of consistency on defense caused it to miss for the fifth time in the Ben Roethlisberger era. He did not his best season at Alabama as a junior, but Lyndell “Mack” Wilson can at least provide the Steelers with exceptional coverage at linebacker. 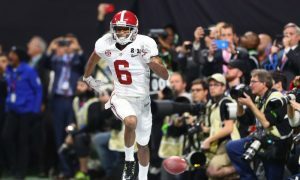 Wilson totaled six career interception, with a team-high of four coming in 2017 as the Tide won a national title. Since the injury to Ryan Shazier, Pittsburgh has not had the presence in its second level that possess the lateral quickness and hard-hitting capabilities to make plays. While Bud Dupree is growing as an edge rusher, drafting Wilson is a must for the “Terrible Towel” in Pennsylvania. A brash, yet dominant secondary made Seattle special during its two trips to the Super Bowl. Nowadays, Kam Chancellor is retired, Richard Sherman is in San Francisco, and Earl Thomas continues to contemplate whether he should remain a Seahawk. In this rebuild, Pete Carroll should closely consider taking a native Texan in Deionte Thomspon to replace Thomas. Thompson, like Thomas, plays with great range and is a natural enforcer in the defensive backfield. He finished second for Alabama in tackles (78) as a junior and collected two interceptions in 2018. Hitting the proper weight at the NFL Scouting Combine is the main concern for Thompson. Despite being listed at 194 pounds on the Tide’s roster, his actual weight fell at 185 pounds with his 6’2” height. If he can reach the 200- pound benchmark by March, teams would feel more comfortable selecting him within the top 15 picks of the draft. Seattle finished with the 17th-best pass defense, but like Pittsburgh, the Seahawks gave up a strong quarterback rating (94.3) and a good touchdown to interception ratio at 26 to 12. Watch for a potential rise in term of Irv Smith Jr. 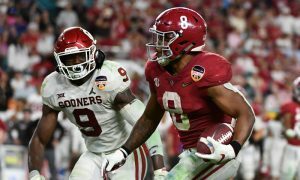 If he turns in a sub 4.6 time in the 40-yard dash and looks the part in various drills, a team could potentially trade back into the first round and pick him. Cincinnati and Carolina are in need of tight ends, especially with Tyler Eifert constantly battling injuries and Greg Olson aging.